The success at Dressage at Devon this year with our Dutch filly , Kouture (Florianus II/Ampere) was thrilling but totally unexpected. I could count on one hand the amount of trot steps she had shown us at home, preferring to canter canter canter everywhere! 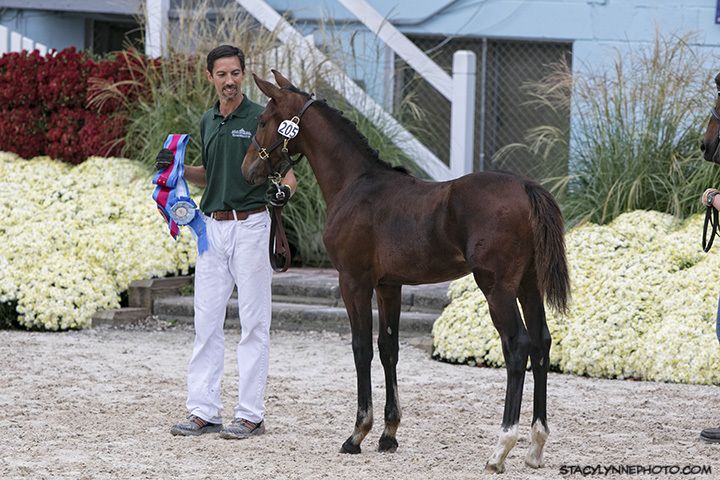 Kouture won the Fillies of 2015 Class with a 83.643% and then went on to compete in the Foal Championship where she was named Champion Foal! 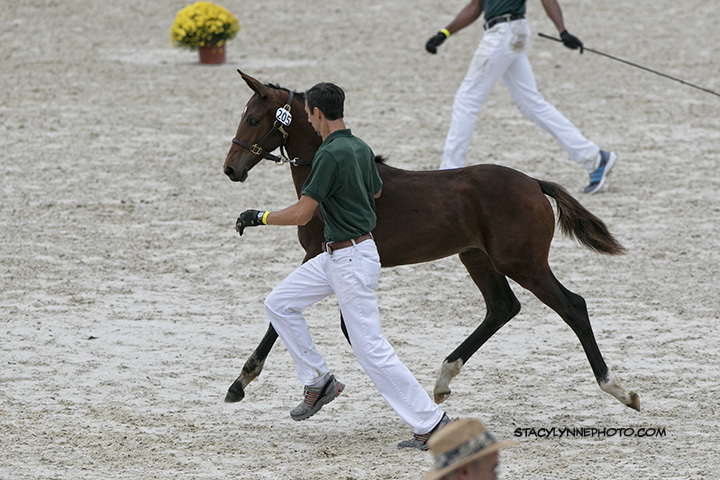 As much as we knew we had a special filly, having been awarded First Premium at her keuring a couple weeks prior to Devon, she saved up her fabulous expressive trot to show everyone on the right day and at precisely the right time! 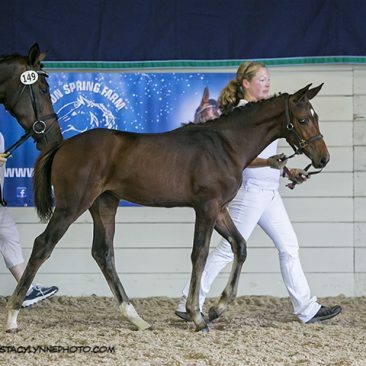 Kouture is out of home bred KWPN Ster mare, Glamour Girl who won her Fillies of 2012 Class with a 87% and then went on to win the GAIG East Coast Breeder Series the previous year at Dressage at Devon. Especially meaningful as the Dam and Grand Dam of these two fillies is my all time favorite and much beloved mare Venezia. 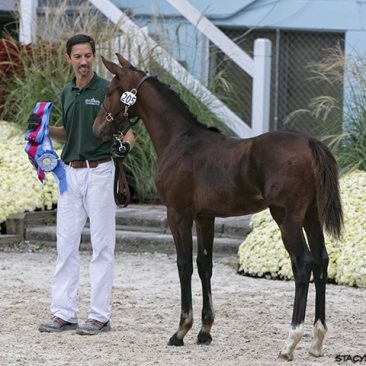 “Born in the USA” Breeders award was developed in 2003 by the Dressage at Devon committee to recognize and reward the achievements of American breeders of Sport Horses. 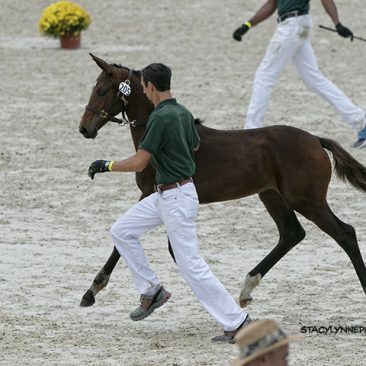 To be eligible, horses must be conceived and foaled in the USA. Scores earned in the open competition Tuesday and Wednesday are used to identify the winners. This year, the high point winner was Kouture (Florianus ll x Glamour Girl). 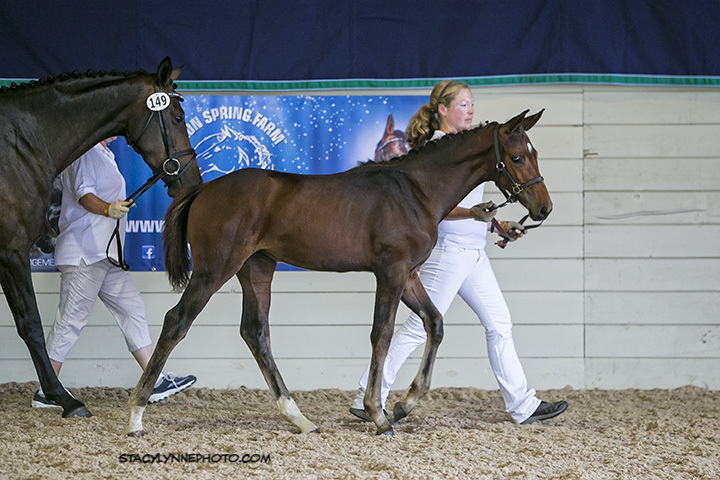 The bay filly bred by Lesley Feakins received a score of 83.625.